Thanks to Vivien for this nice photo of a Four-Banded Longhorn Beetle (Leptura quadrifasciata), taken on the sadly threatened Radford Bridge Road Allotments. 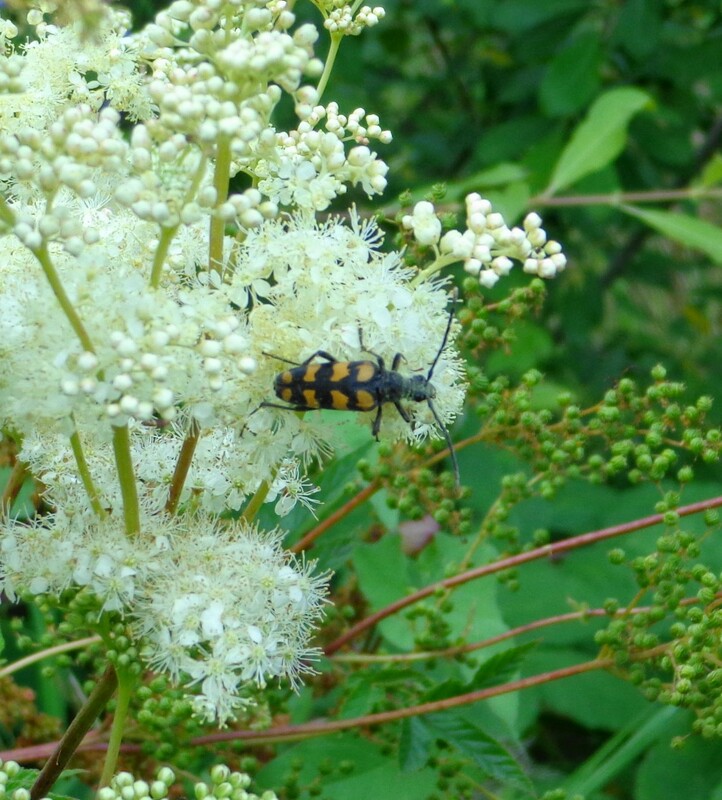 This is a handsome beetle, often seen feeding on flowers in the summer – here it is on Meadowsweet. For an excellent guide to Nottinghamshire’s Longhorn beetles, see this page on the eakringbirds.com website.